In the arid southwest of Madagascar, along the perennial Sakamena River--tributary of the great Onilahy--lies Beza Mahafaly Special Reserve, a 4600 ha protected area situated in a human-dominated landscape. The very existence of the Reserve is a testament to the communities' engagement--and partnership--in the conservation of the region's dry forest resources. 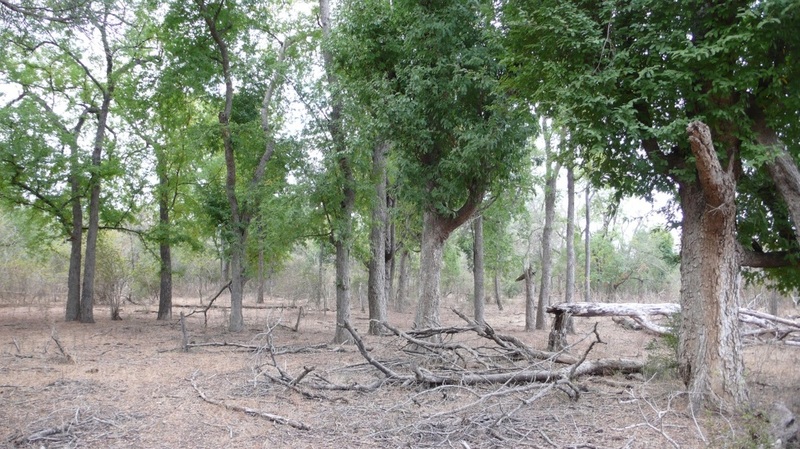 As a dry forest, BMSR can't command the level of biodiversity of its rainforest counterparts; however, this relatively small reserve provides vital protection for some of the most threatened species in Madagascar including endemic spiny thicket, ring-tailed lemur (Lemur catta), and radiated tortoise (Astrochelys radiata). BMSR is host (and home) to a cast of characters including birds, lemurs, tortoises, snakes, chameleons, insects, goats, sheep, cows, women, children, men, feral dogs, and the odd wild cat . . .
Parts of the Reserve remain protected from human activities (i.e. grazing, extraction) and other parts are zoned for co-management and controlled use by community leaders for the benefit of community members for such activities as grazing, fuelwood extraction, collection of forest products for construction, food, and medicine. My study of two livestock herds within BMSR from 2007-2013 illustrates that herd movements vary by seasonal availability of crop residues, grasses, water, and forest resources, with both herds rotating through forest areas, although not necessarily in the same seasons (Figure 1). 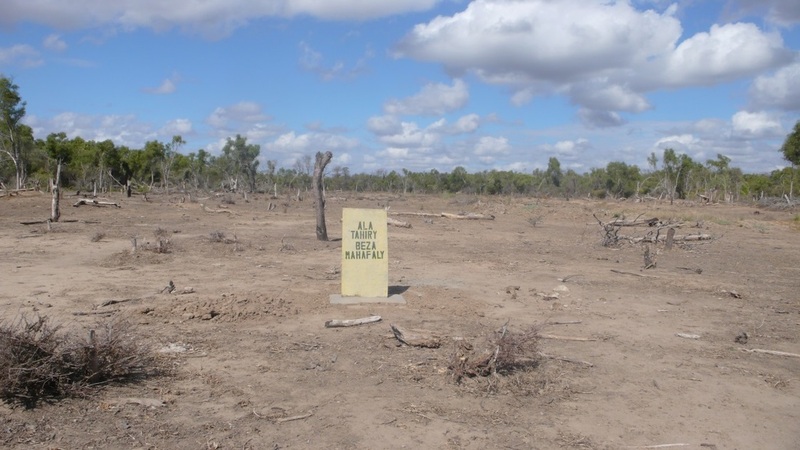 Some grazed areas suffer from severe degradation, but others do not—that is, some practices have been more sustainable than others. Figure 1. Difference in seasonal movements of single livestock herd. Tracks appear in red. ​The next phase of this research is to visit areas frequented by herds to identify resources utilized by livestock and assess the state of the forest canopy, understory, and biodiversity at these locations. 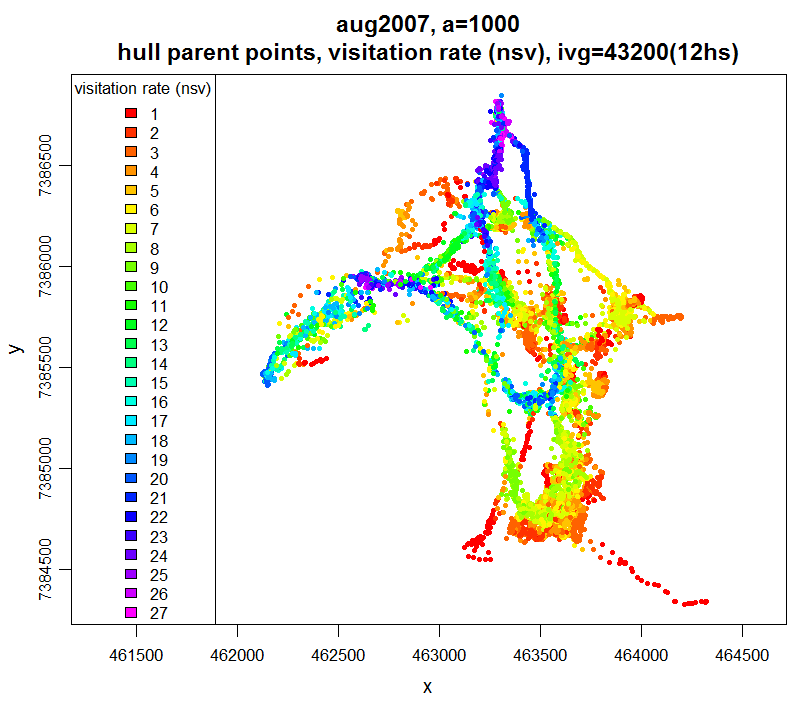 I will also further analyze GPS location data to identify areas where livestock traveled frequently—identified here as “visitation rate”: number of separate visits (nsv) in a 12 hour period (Figure 2). For example, areas of green, blue, and purple in Figure 2 are locations that livestock visited repeatedly in August 2007—either for travel or for food.